A recent study has linked the anti-seizure drug Lyrica with a tripled increased risk of birth defects when it is used early in pregnancy. About 6% of babies exposed to Lyrica had a heart defect, nervous system defect, or organ defect. 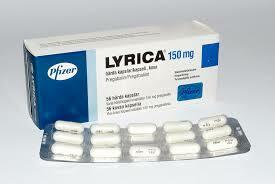 Lyrica is the brand-name for pregabalin, a prescription drug made by Pfizer that has been on the market since 2004. It is approved by the FDA to treat fibromyalgia, certain types of nerve pain, and prevent epileptic seizures. It is also commonly used “off-label” for anxiety. In December 2012, Pfizer paid nearly $43 million to settle legal claims by 33 states who accused the drug-maker of illegally marketing Lyrica for “off-label” uses not approved by the FDA. What Pregnancy Class is Lyrica? Lyrica is a “Pregnancy Category C” drug, which means it has shown evidence of causing birth defects in animal studies but the risk in humans is unknown. In 2009, Pfizer asked pregnant women on Lyrica to enroll in a study to investigate the risk of birth defects — but they did not warn pregnant women against taking Lyrica. The birth defects linked to Lyrica occur in the first few weeks of fetal development. During this time, most women are not aware of the pregnancy. They may continue taking dangerous medications without realizing they are putting a baby at risk. In May 2016, Neurology published a study linking Lyrica to a tripled increased risk of major birth defects compared to women who did not use Lyrica. The conclusions were based on 164 pregnant women who used Lyrica. About 80% were on Lyrica before they got pregnant, and nearly all of them stopped taking it six weeks into their pregnancy. Outcomes were compared to 656 women who did not use Lyrica. 6% of babies exposed to Lyrica had a major birth defect, compared to 2% of babies who were not exposed. The risk of central nervous system defects was 6X higher in the Lyrica group vs. non-exposed (3.2% vs. 0.5%). Source: Winterfeld U, Merlob P, Baud D, et al. Pregnancy outcome following maternal exposure to pregabalin may call for concern. Neurology 2016. The study was too small to prove that Lyrica causes birth defects, but experts say pregnant women should avoid using Lyrica if possible. The authors of the study say all women of childbearing age should take birth control while using Lyrica. They also recommend extra fetal monitoring in pregnant women who have already used Lyrica. Can I Join a Class Action? Our lawyers are not filing a Lyrica class action at this time. Instead, we are filing individual lawsuits on behalf of children who were born with birth defects after being exposed to Lyrica.